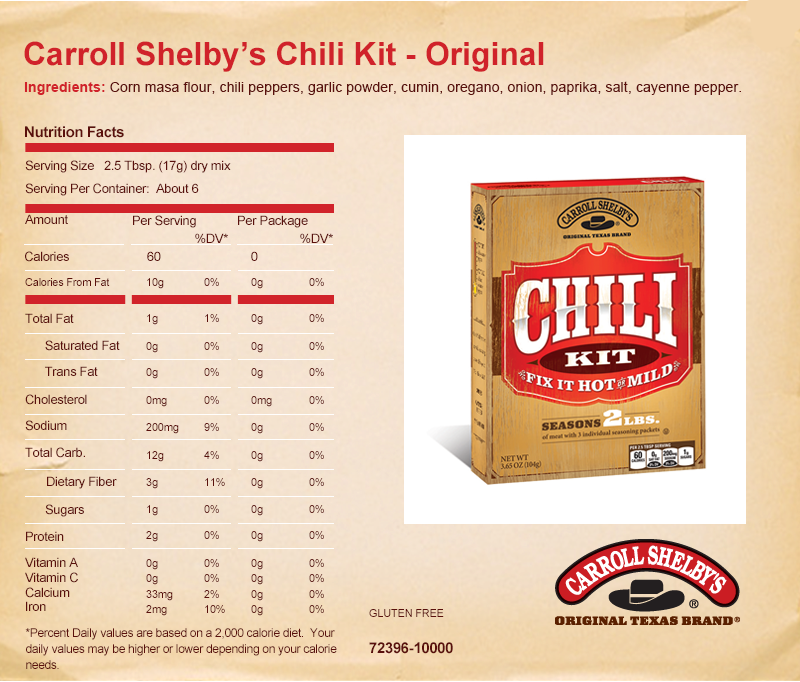 Carroll Shelby's custom chili kit features individual packets of spices, cayenne, and masa flour that let you season two pounds of meat just the way you like. 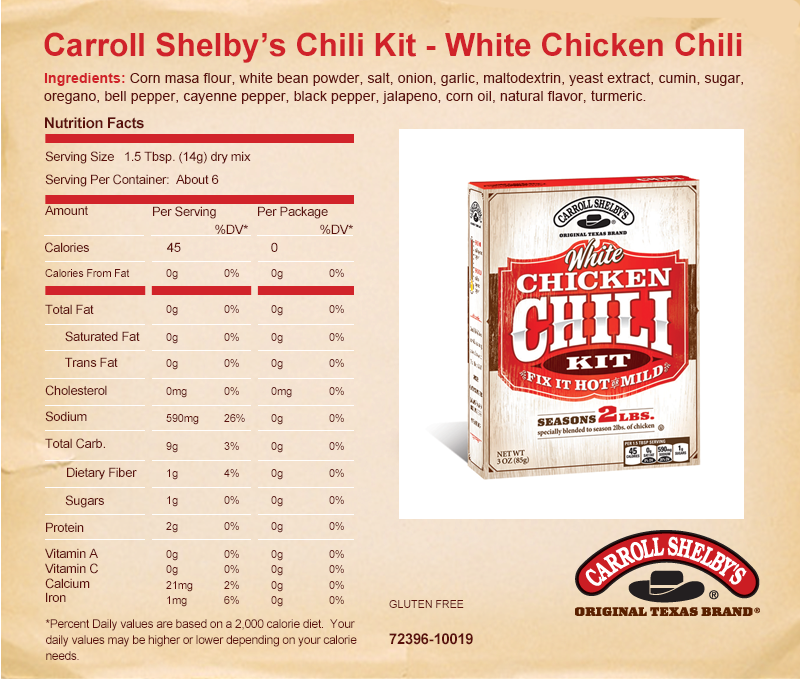 Delicious on its own or atop burgers, tacos, or salads. Just add creativity and your own special fixin's. 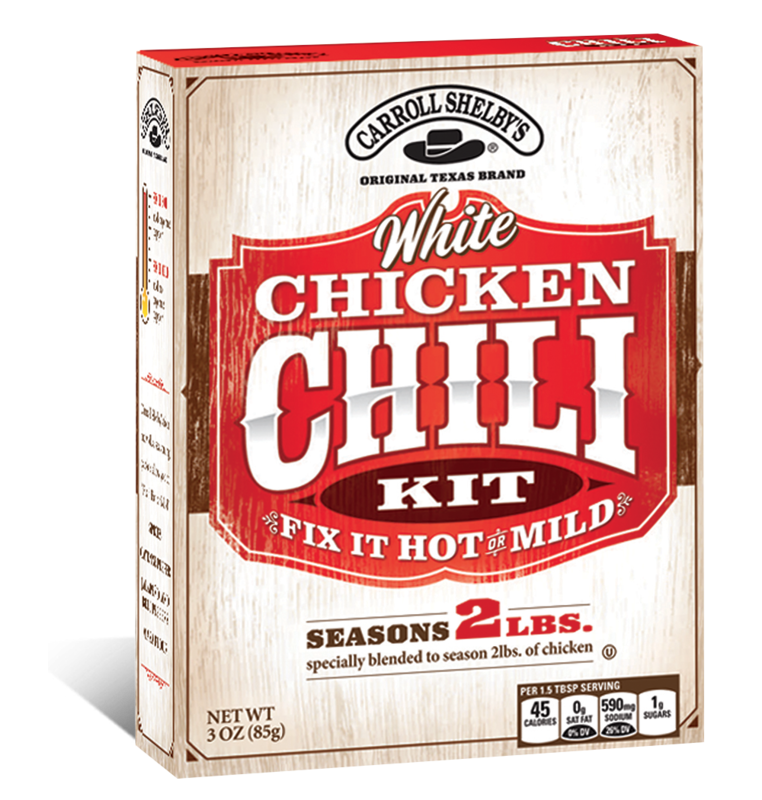 Specially blended to season two pounds of chicken, Carroll Shelby's White Chicken Chili Kit adopts the DIY style of the original. 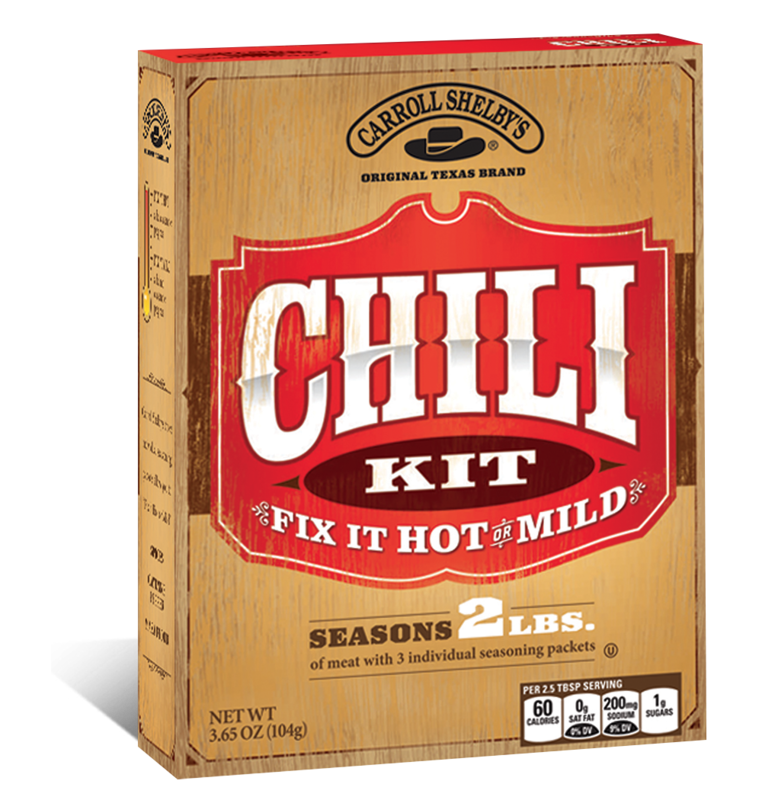 Four individual seasoning packets - spices, cayenne, masa flour, and jalapeno and bell peppers - let you fix your chili however you like, hot or mild. Perfect for those week night family dinners.